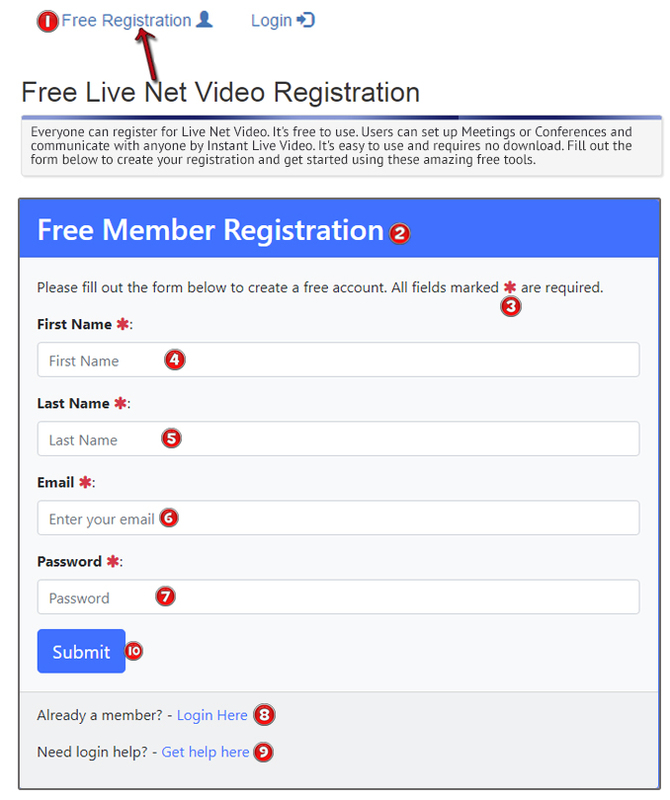 Click on the "Free Registration" Button at the top of the Live Net Video site. To Register, click on the Free Registration link on the top navigation bar on the Live Net Video site. This opens the Registration Screen. Enter a password (make sure you remember this password as you’ll need to use it to login. If you’re already a member, click the Login Here link. If you need login help, click the Get Help Here link. When you’re finished entering the information, click the Submit Button.